Are you missing out on potential customers or subscribers simply because you aren't asking for their email address? Asking website visitors to subscribe is one of the easiest ways to grow your email file. Once the signup form is created it can operate on its own and doesn't require much ongoing attention. Of course, there are some things to keep in mind during initial setup. Things to consider include: information to collect, call to action, form placement, and offers. It’s a balancing act to determine what info to request on a signup form. Consider what information will be most beneficial along with the number of fields customers are likely to complete. The main goal of an signup form is to collect email addresses, so it could be as simple as just one field. To gather additional information, consider a progressive opt-in form. Progressive opt-in forms break the sign up process into multiple pieces. Additional information is requested after initial sign up to avoid abandoned subscription forms. Call to action buttons are a critical part of the signup form. They should capture visitor’s attention and compel them to perform an action. There is no one size fits all solution. Test several options to determine what works best. Consider, button color, wording, padding and size. Consider asking for email addresses on every page of your website. It’s relatively simple to accommodate a one line email subscription box. It can also be used in conjunction with more detailed subscription forms in some locations. If it’s too difficult to place a signup form on every page, find the most visited pages and start there. For best results forms should be placed above the fold (above the scroll). Incentives encourage signup form completion. The incentive could be a discount, but it doesn't have to be. Consider other offers, such as access to information, a free trial, or a giveaway. It’s important to promptly give subscribers their reward. A good rule of thumb is to include this information in the first welcome email. If you’re not a developer this may seem like a daunting task, but it doesn't have to be. JangoMail offers an Opt-In Form Designer that can help. With our form designer it’s easy to make a professional looking form that feeds directly to your email list. At JangoMail we are always looking for ways to improve. Lately we have been working to improve our website. 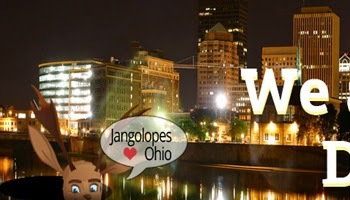 Next Wednesday, April 15th, things will look a little different on the JangoMail site. This first phase of changes will only affect the design of the JangoMail.com site and the URL for some pages of the JangoMail.com site. The main pages of the JangoMail site will have a new design. 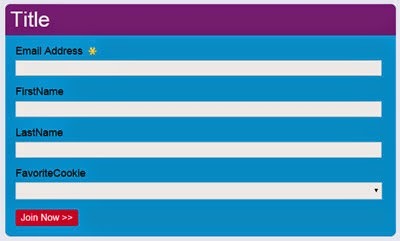 If you go directly to the logon page you may not see these updates. However, if you go to our homepage, you will see a brand new design. The interface after logging in will appear the same, but the URL for all pages will begin app.jangomail.com in your browser. If you have created any bookmarks to the website, they may not work correctly. 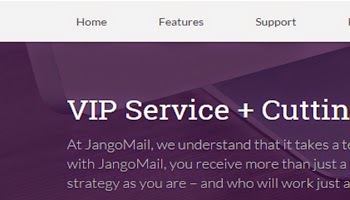 You can login at JangoMail.com to access our services. If you have trouble updating your bookmarks, please contact our support team.